Simply suited, creatively updated, and ready to be yours! This fourth floor studio at Gulf Place allows you to have a tastefully updated getaway at the beach, or the great opportunity for rental income. With a prime location on the top floor, peace and quiet are yours, with no neighbors above you. 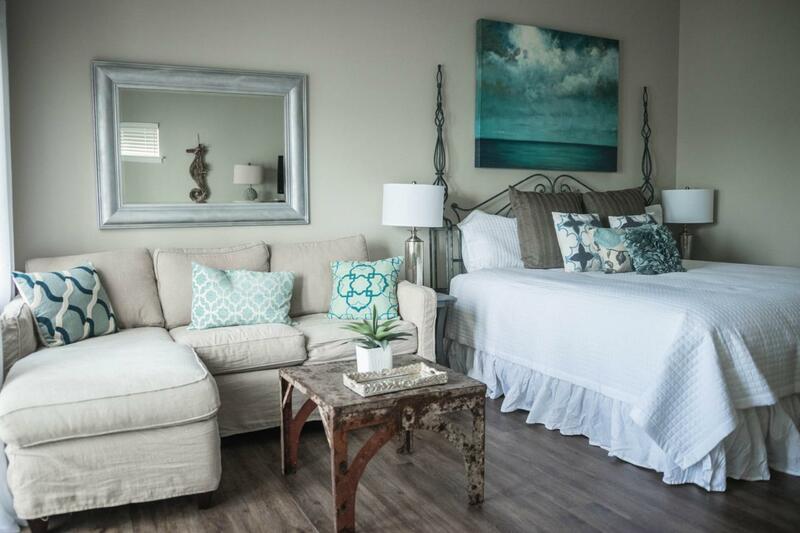 The coastal chic decor of this super sweet getaway is welcoming, airy and refreshing. 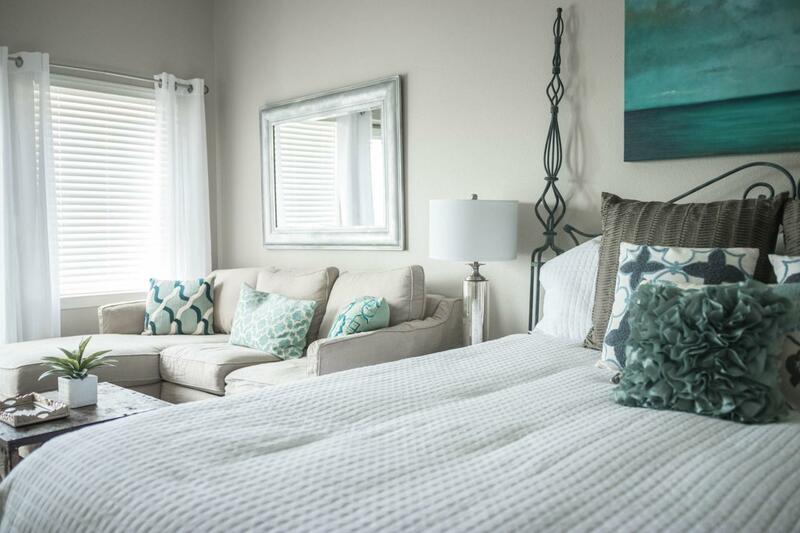 This studio unit is located in the heart of the action at Gulf Place, allowing you to enjoy coffee downstairs on the first floor, a glass of wine in the evening, and the most stunning of sunsets just across the street at Ed Walline Park. 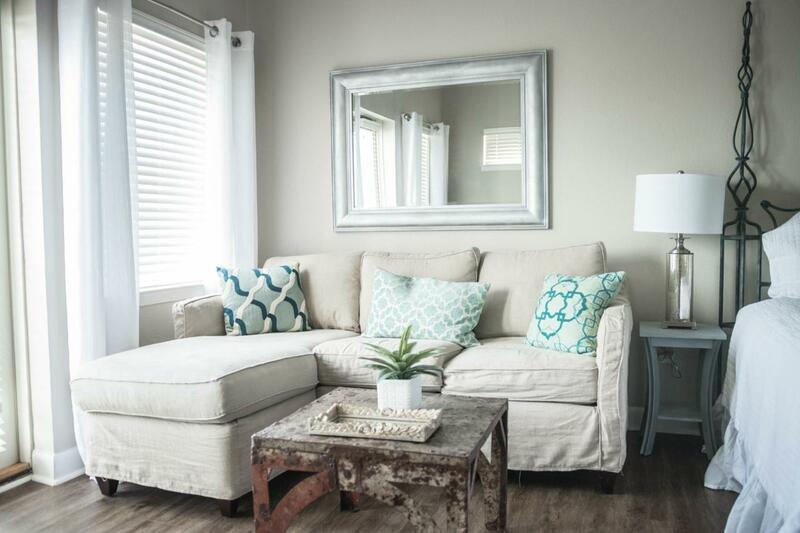 This unit is turnkey ready, fully furnished and tastefully decorated. 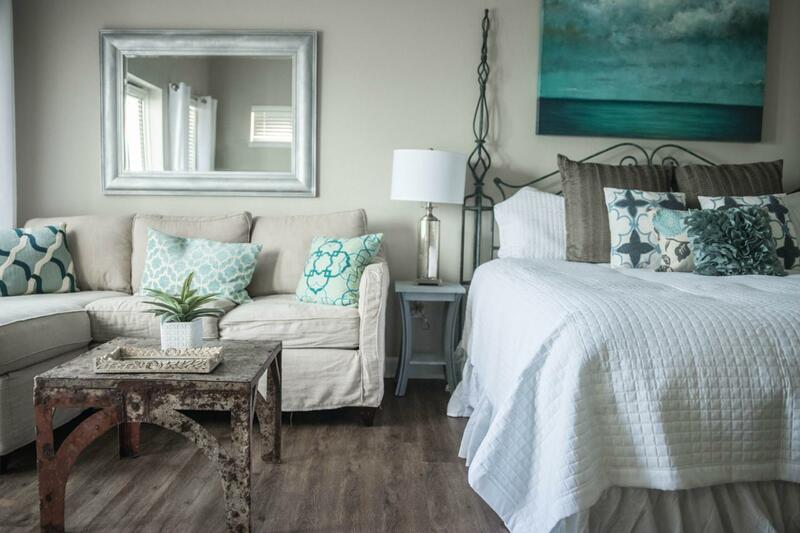 Coastal breezes are calling and the Gulf Place lifestyle can be yours!